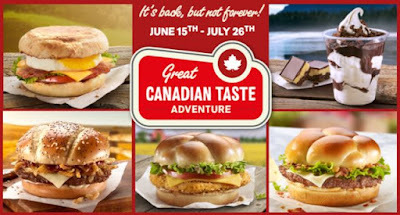 While we don't get any sort of themed menu from McDonald's here in the U.S., up north in Canada, they're celebrating the second year of the limited-time Great Canadian Taste Adventure, which features the tastes of different regions of Canada. 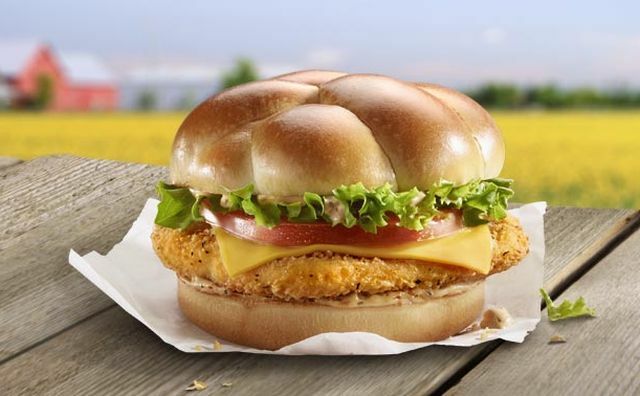 Representing Ontario is the Summer Country Chicken Burger, which features Creamy Tomato and Herb Sauce, Ontario farm-raised crispy-fried chicken, tomato, leaf lettuce, and processed cheddar cheese and a toasted Braided-style glazed bun. It's available June 22, 2016 through June 28, 2016 and again from July 13 through July 19. 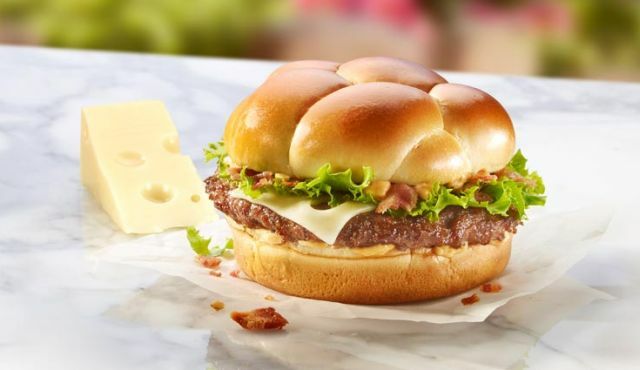 For Quebec, there's the Delectable Bacon & Cheese Burger, featuring a Canadian beef patty, cheese made in Quebec, bacon, lettuce, and creamy Hickory Seasoned Sauce on a toasted Braid-style glazed bun. It's set to make an appearance starting June 29 through July 5 and from July 20 through 26. Last year, Quebec was represented by Maple & Bacon Poutine. 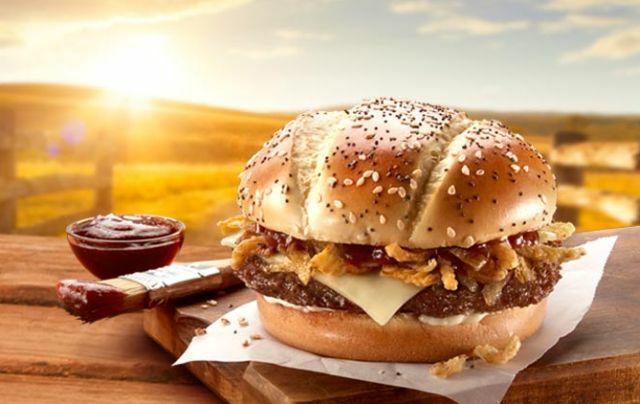 Alberta inspired the Western BBQ Burger, which consists of a patty made of Canadian beef raised in Western Canada (where Alberta lies), sweet and smoky BBQ sauce, processed white cheddar cheese, and a combination of grilled and crispy onions on a toasted sesame and poppy seed glazed bun. It was available June 15 through June 21 and is set to return July 6 through July 12. Available the entire length of the promotion through July 26 is the True North BLT McMuffin, which represents all of Canada. 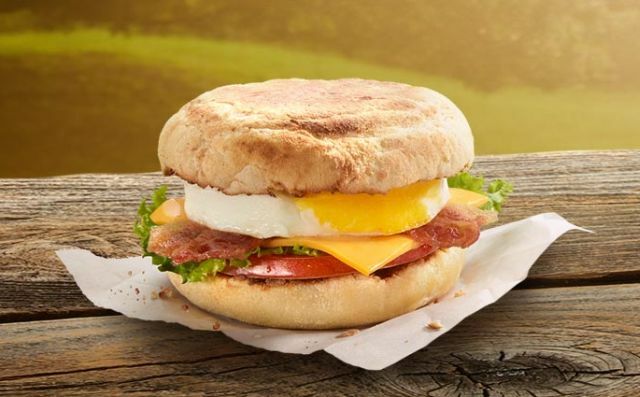 It features Canadian cracked eggs, bacon, lettuce, tomato, and processed cheddar on a toasted English muffin. 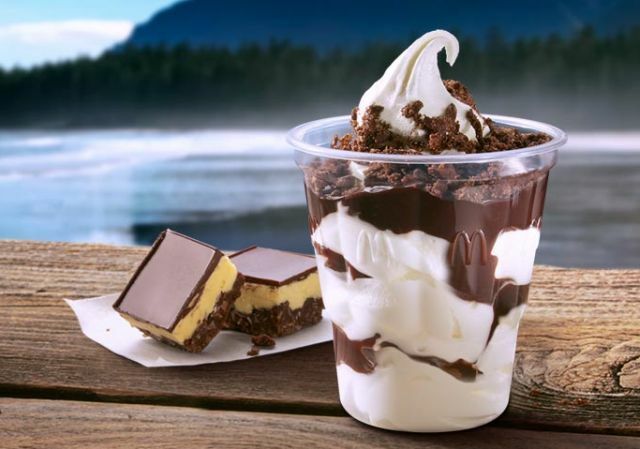 Also available through July 26 is the Chocolate Nanaimo Sundae, which was also available last year. It represents British Columbia and features vanilla soft serve made with Canadian milk (like the rest of their soft serve, I'm sure), topped with hot fudge sauce and Nanaimo crumble from British Columbia. A Nanaimo is a no-bake bar dessert that originates from Nanaimo, British Columbia. Looking at the menu, you get the sense that McDonald's could easily do something similar here at home. It could be as simple as trotting out apple pie a la mode (which wouldn't require any new ingredients) and offering cheeseburgers with Wisconsin cheese.